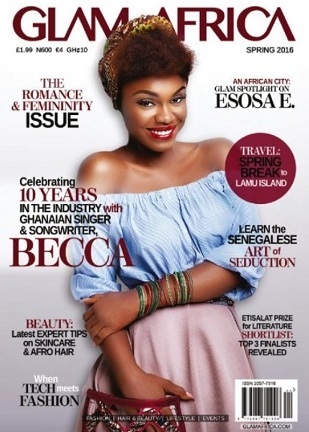 Home / BECCA / Celebs Gossip / Features / Glam Magazine / Rebecca Acheampong / HOW GLAMOROUS IS BECCA ON GLAM MAGAZINE COVER? HOW GLAMOROUS IS BECCA ON GLAM MAGAZINE COVER? Rebecca Acheampong, popularly known with stage name “Becca” graciously graced the cover of spring 2016 edition of Glam Magazine and she looks adorable as usual. In your words...How glamorous do you know Becca to be?